Lavrentievite: Mineral information, data and localities. Named by V.I. Vasil’ev, N.A. Pal’chik, and O.K. Grechishchev in 1984 in honor of Mikhail Alekseevich Lavrent’ev (19 November 1900, Kazan, Russian Empire – 15 October 1980, Moscow, Soviet Union), mathematician and hydrodynamicist at the Institute of Hydrodynamics, Novosibirsk, Russia, and founder of the Siberian Academy of Science. Forms a series with arzakite. Space group P 2 /m, P 2 or Pm. Possibly triclinic. 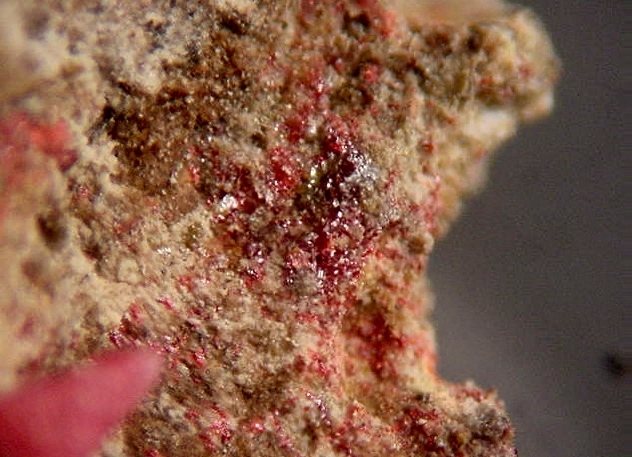 As complex intergrowths with arzakite, to 0.2 mm. Cinnabar 1 photo of Lavrentievite associated with Cinnabar on mindat.org. Vasil’ev, V.I., Pal’chik, N.A., Grechishchev, O.K. (1984) Lavrentievite and arzakite, new natural mercury sulfohalides. Geologiya i Geofizika: 25: 54-63. Dunn, P.J., Fleischer, M., Langley, R.H., Shigley, J.E., Zilczer, J.A. (1985) New mineral names. 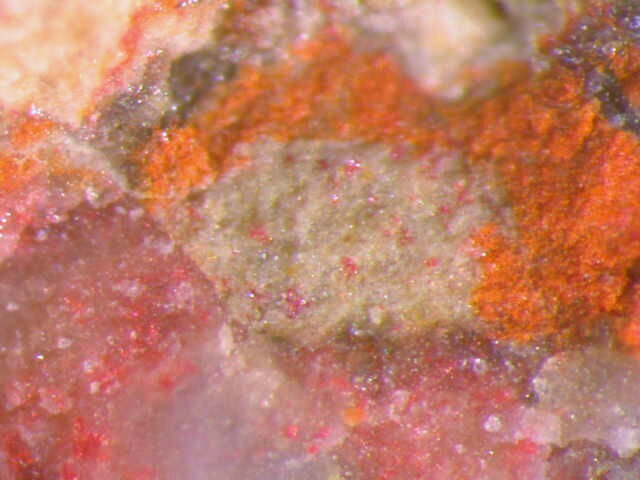 American Mineralogist: 70: 871-881	. Pekov, I. (1998) Minerals First discovered on the territory of the former Soviet Union 369p. Ocean Pictures, Moscow; Pervukhina, N. V., Vasil’ev, V. I., Borisov, S. V., Magarill, S. A., & Naumov, D. Y. (2003). The crystal structure of a polymorph of Hg2+ 3S2Br1. 0Cl0. 5I0. 5. The Canadian Mineralogist, 41(6), 1445-1453.